This 4 bedroom, 2.5 bath home features a three-car garage under and a large family room with vaulted ceilings. It also offers an open kitchen adjacent to the dining room for convenience as well as a flexible living room/study to meet the needs of your lifestyle. Spacious by design, this 4 bedroom, 2.5 bath home offers a very flexible and open first floor plan, an open two story foyer as well as a large master bedroom suite. The exterior of the Bethany features a beautiful covered front porch for a very classic New England feeling. The Blackstone design offers a traditional 4 bedroom, 2.5 bath home with a two-car attached garage and a large exterior deck among many of its unique features. Complete with a second-floor laundry and a sunken family room off the kitchen, the Blackstone provides homeowners with a very practical yet comfortable floor plan. master bedroom with a soaking tub and large walk in closet. 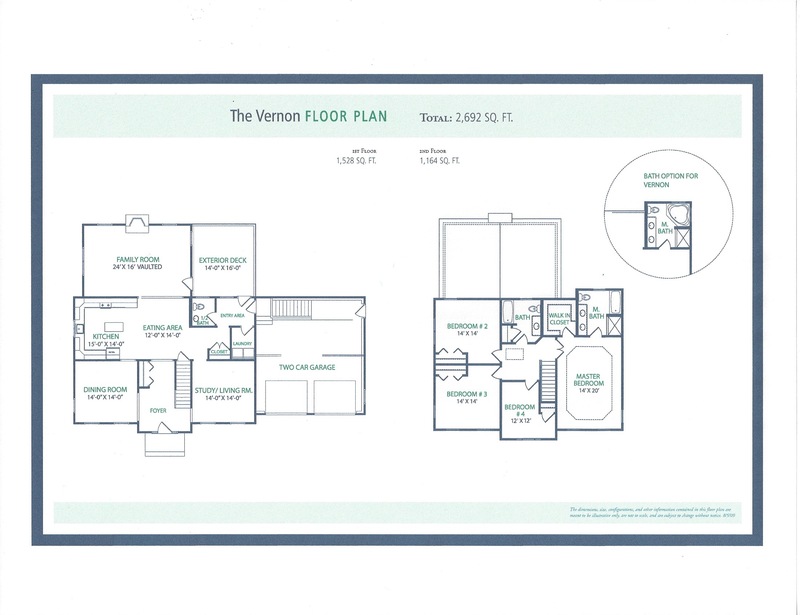 The unique first floor plan provides both a study and a living room with an attached two car garage. At 3,078 sq. ft. this design offers the space you need with the comfort you desire. door. With 4 bedrooms and 2.5 baths, this house offers the cozy charm of a traditional New England home.